for a time until the ugly past Mary has fled from in the old one finds her. for past sins in exchange for her loyalty, her ships and men. 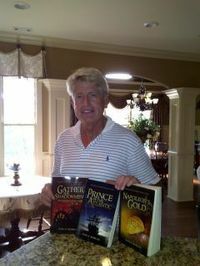 A: I wrote a series of books in the omnipresent voice about a little known, real life hero named Captain Luke Ryan, Benjamin Franklin’s most dangerous privateer during the American War of Independence. When I was ready to write again, I wanted to try something a little different, something a bit challenging from a writer’s perspective. I wanted to write about a strong female character in the first person (even though I am a guy) and choose the Elizabethan Era. 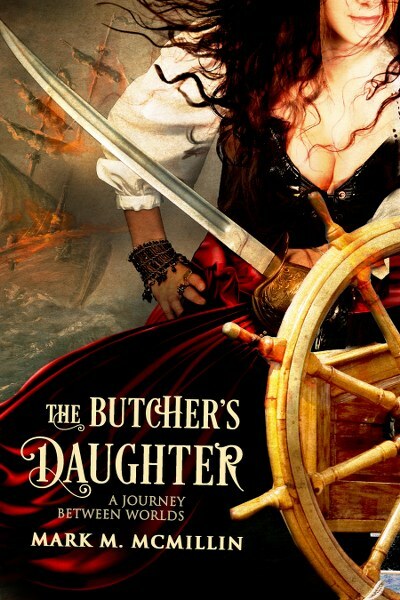 A: I am nearly finished with the sequel to The Butcher’s Daughter (A Journey Between Worlds). The title to this new book is Blood for Blood (The Uncertain Journey). Q: Can you tell us a little bit about the characters in book? A: Mary is the main character and our heroine. She is a strong, fearless woman trying to survive in a world of men during a time when women where thought of as chattel. While Mary is fictional, there were amazingly several female ship captains in the 1500’s. Q: How did you come up with the concept and characters for the book? A: Initially I started my research on a woman named Grace O’Malley, the Pirate Queen, a real life historical figure who I found fascinating. I intended to write a historical fiction novel about her but discovered that someone had beat me to it so I invented Mary, Grace’s half-sister. A: I enjoyed the challenge of trying to write from a woman’s perspective and recreating life in the ‘wild west’ days of the West Indies. several companies, including a $1B publicly-traded airline. the Ocean), Prince of the Atlantic and Napoleon’s Gold.